We’ve been working with SME businesses and large corporates as Structured Cabling Dorset for many years, handling all their data cabling demands; from full system installations to servicing and maintenance on existing systems, our experienced technicians can do it all – and all to Network Cabling Standards too. Whether you’re in need of a new fibre optic structure for your data storage system, fibre optic links between buildings, or even LAN connectivity for your wireless access points, here at Unique Tech Solutions we have many years of experience installing ethernet and fibre optic cabling projects of all shapes and sizes. Above all, we make sure our technicians are fully trained and experienced in the installation of new systems, keeping up with industry trends and continually working with our suppliers to ensure the products we install support the high level of service we provide. Speak to one of our experts today on 01202 743231. 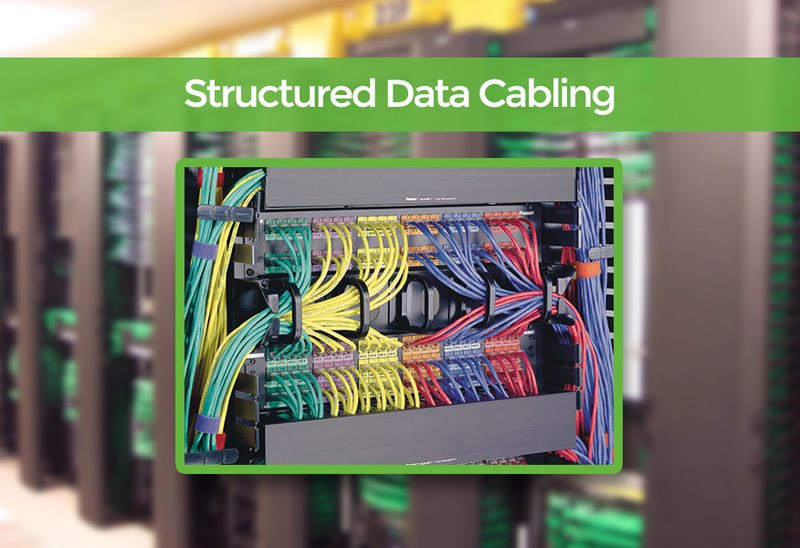 Data network cabling maintenance is of great importance keeping these types of systems alive and well, preventing system downtime and any costly repairs, just with one of our engineers visiting site once or twice a year. Our highly regarded Structured Cabling Dorset 24 hour call out response will guarantee a quick solution to any faults or queries that may emerge with your set up. This popular service we offer here at Unique will include preventative maintenance work to fix old, or potentially faulty, cables before they can disrupt the system and the replacement of parts weakened by wear and tear. Alongside our competitively priced services of Structured Cabling Dorset, we provide installation, support, and maintenance of Wireless Networks like the new all-in-one wireless technology 2.4GHz, 5GHz and AirMax 5 CPEs. With LAN systems also being integrated with wireless remote access IP CCTV Camera Systems and Door Entry Systems too, courtesy of our brother company Unique Fire & Security.